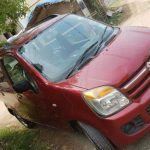 Maruti Suzuki Wagon R Used Cars : Sell secondhand Maruti Suzuki Wagon R cars in India for best price. 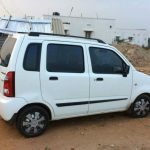 Buy good condition used Maruti Suzuki Wagon R cars for sale. It's FREE. 79000 Kms | 2006 | Petrol | Pothanur | Namakkal | Tamil Nadu. 49900 Kms | 2013 | Petrol | North Zone, Pallikunnu | Kannur | Kerala. 69000 Kms | 2009 | LPG | Koundampalayam | Coimbatore | Tamil Nadu. 73000 Kms | 2007 | LPG | Katheru Village | Rajahmundry | Andhra Pradesh. 68000 Kms | 2009 | Petrol | Mehrauli | Delhi | Delhi. 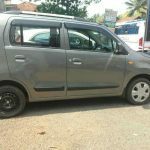 Buy good condition Used Maruti Suzuki Wagon R car in India. Select your car from 5 Used Maruti Suzuki Wagon R in India listed by different Maruti Suzuki Wagon R sellers. Browse and purchase Second hand Maruti Suzuki Wagon R cars from here. 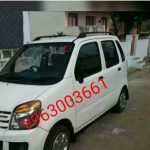 Sell second hand Maruti Suzuki Wagon R cars for best price. Post your Maruti Suzuki Wagon R used car for sale in our website. 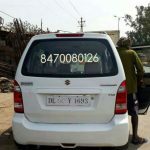 In this page 5 Maruti Suzuki Wagon R Cars are posted by sellers. Please share this page on social networking sites.